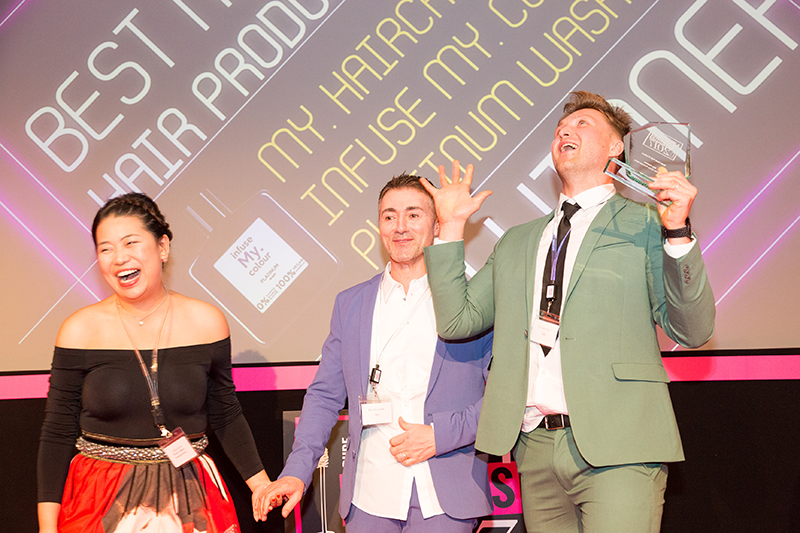 The best new beauty products of 2017 were announced at a sell-out neon glam-themed awards ceremony last night. 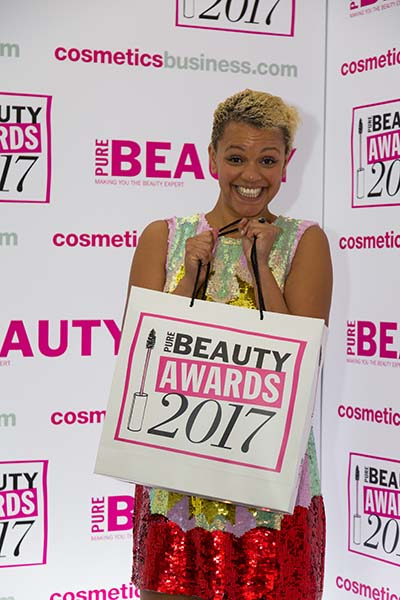 The winners of the Pure Beauty Awards 2017 were announced at a glowing neon-glam themed ceremony hosted by radio DJ, author and presenter Gemma Cairney last night. 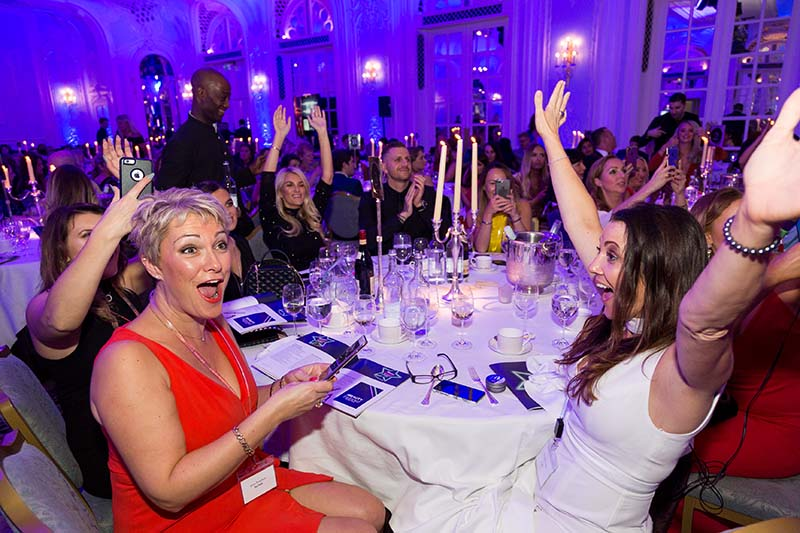 The awards were a complete sell-out with over 350 industry guests from premium, mass and niche beauty brands and the UK’s leading UK beauty buyers, including Amazon, Boots, Harrods, QVC, The Perfume Shop and The Fragrance Shop. 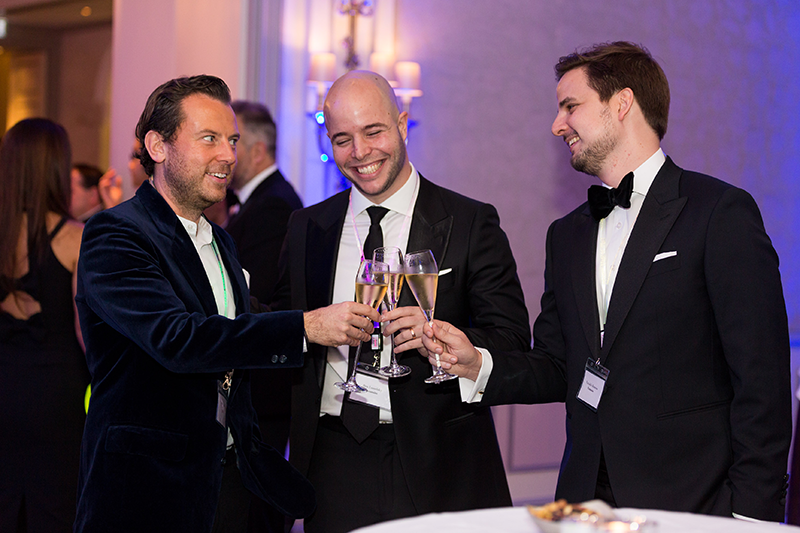 A host of celebrities joined in with the night’s proceedings. 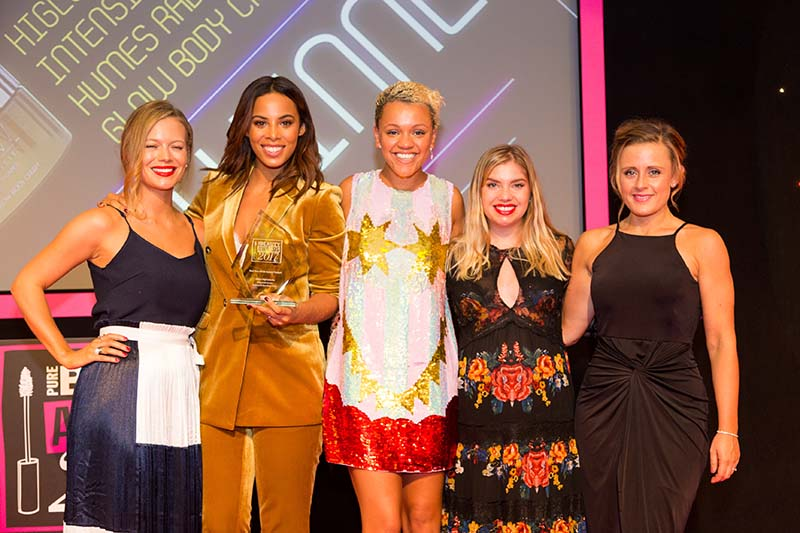 The Saturdays' Rochelle Humes scooped the award for Best New Ethnic Beauty Product with her HiGlow High Intensity Radiance & Glow Body Cream . 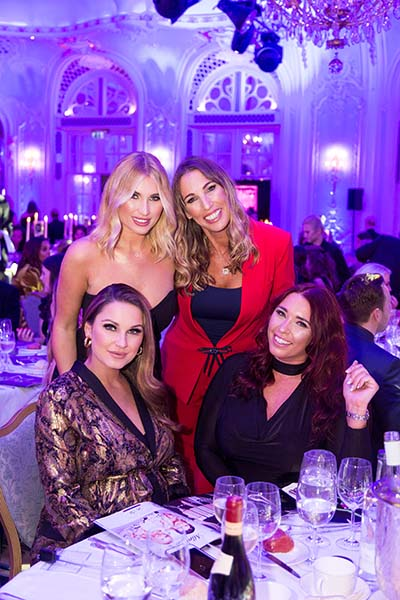 Plus, Samantha Faiers and Billie Faiers went up on stage to collect the Best New Body Product award for their Minnies So Into It Sparkling Dusting Powder. 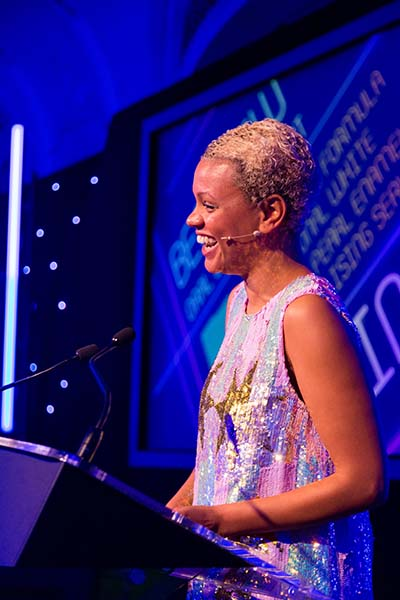 W7 Cosmetics sponsored this year’s Organic and Natural categories and were joined by their brand ambassadors Maria Fowler of The Only Way Is Essex fame, make-up artist and YouTube star Stephanie Lange and four-times BMX World Champion Kelvin Batey. 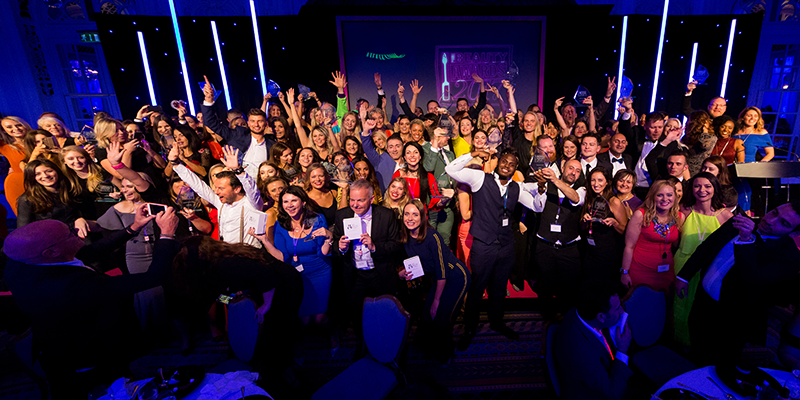 Univar sponsored this year’s two big categories of the night – Best New International Breakthrough Brand and Best New British Brand. 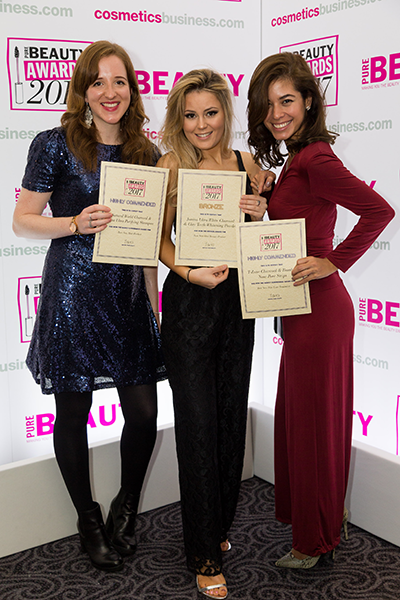 Huda Beauty bagged the International Breakthrough Brand gong and My Brow Care was awarded the Best New British Brand crown. A full breakdown of all the winners will be included in the December issue of Pure Beauty.